I'm a fine one to talk when it comes to wearing colour. I seem to live in black and grey, as do many women. Which is exactly why I'm challenging you to change that habit by incorporating more colour in to your outfits. Okay, I know what some of you might be thinking: "What? This is hardly a challenge!!" 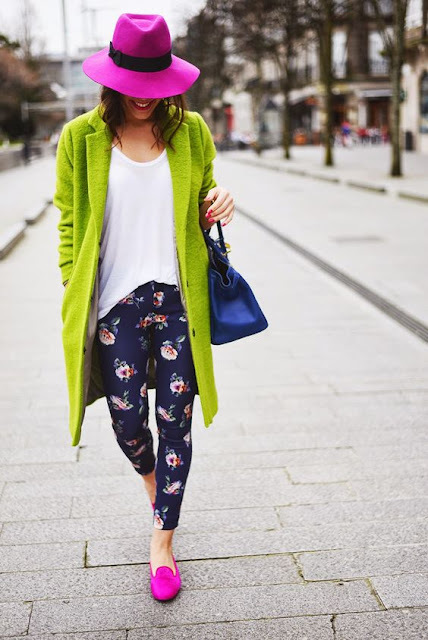 but you'd be surprised how many women are afraid to experiment with colour, and Summer is the perfect time to experiment with loud outfits, so go crazy and have fun! Vibrant jewel-tone colours look great together--some of my favourite colour combos include yellow and turquoise, hot pink and purple, and royal blue with electric blue. 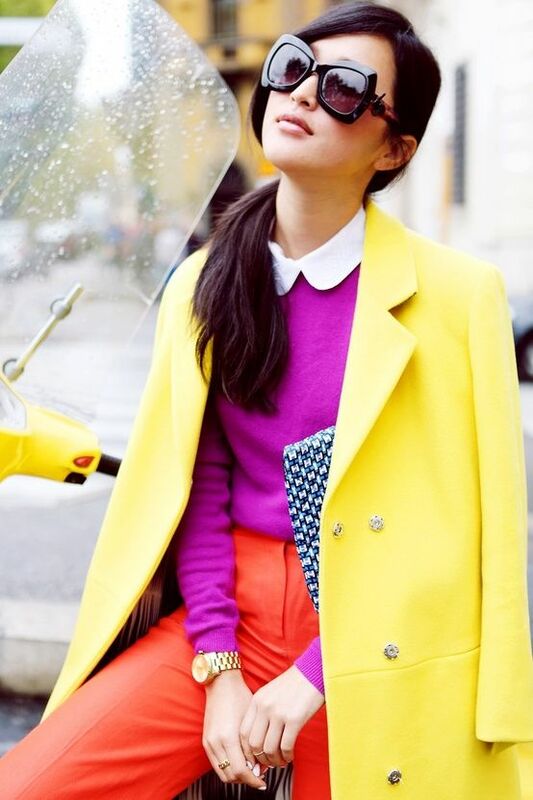 Consider adding colour with your accessories. Bright clutches, turquoise or coral jewellery, kaleidoscopic scarves, and candy-coloured shoes are versatile pieces that will add pop to your look. Makeup is another great way to experiment with colour: Purple eyeliner and hot pink lip gloss are two of my favourite ways to experiment with bold hues! Be careful with the number of colours you mix at once. 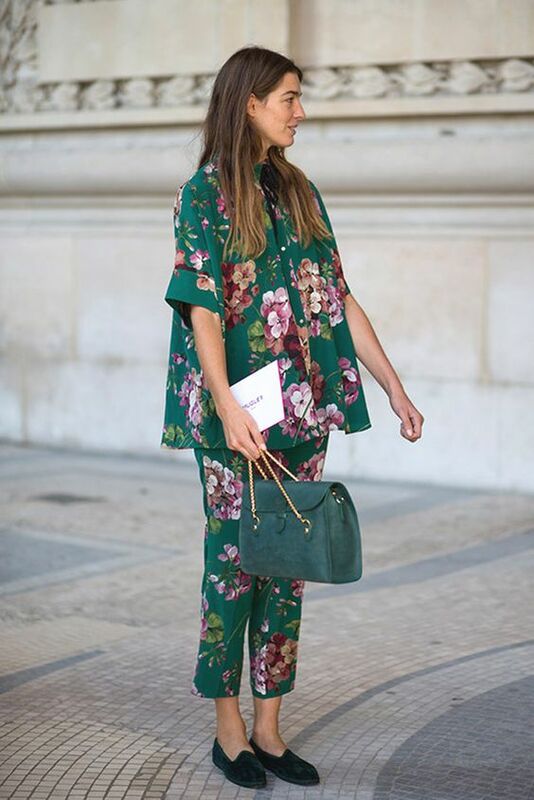 Wearing three or even four colours at once can create an incredible look, but I recommend stopping there. 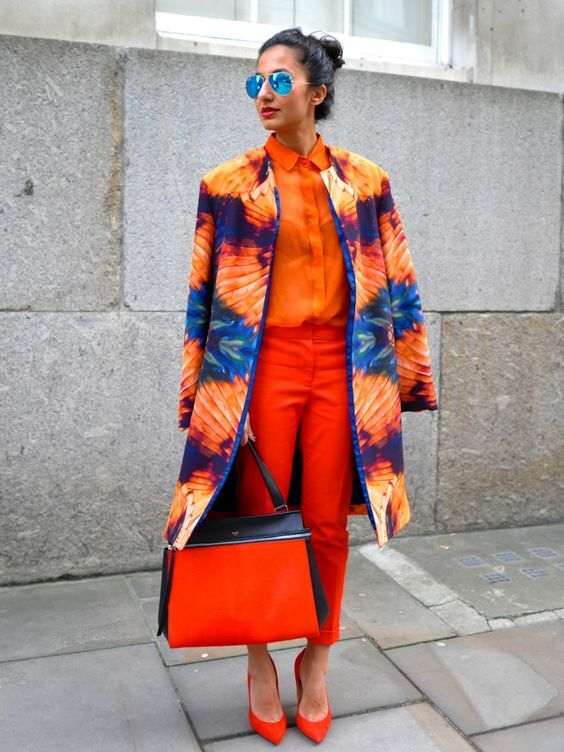 Mix five or more colours and you'll risk looking like a rainbow explosion (and not in a good way)! Here are a few looks that will inspire you to swap out your blacks and whites for vibrant colours this season, I promise.